LatinaLista — With current political rhetoric painting a broad characterization of who Latinos are these days, amplifying the Latinx voice and experience is as important as ever. A new imprint of Ohio State University (OSU) is creating such an opportunity for Latinx writers. LatinoGraphix, founded and edited by OSU English Professor Frederick Luis Aldama, launches Sept. 22 with their first publication titled Diary of a Reluctant Dreamer. 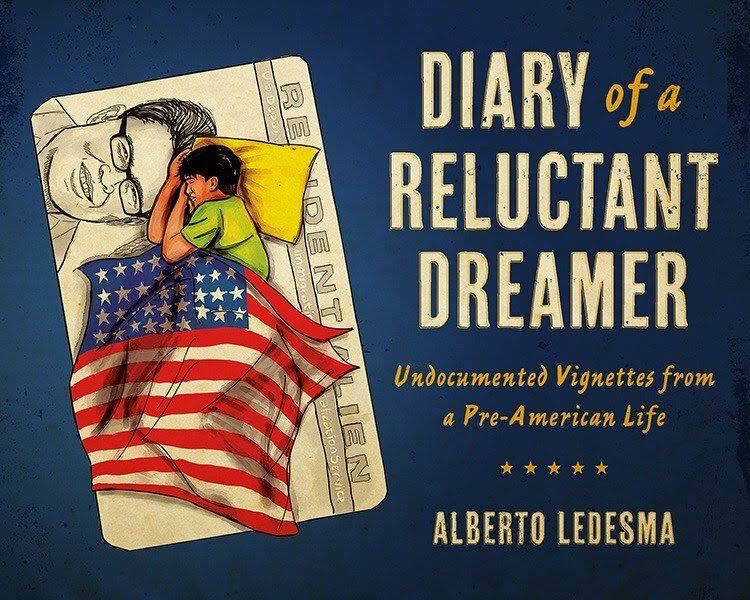 It’s a timely memoir by college Professor Alberto Ledesma, a former undocumented immigrant and today the graduate diversity director for arts and humanities at the University of California-Berkeley. Aldama’s plans for LatinoGraphix is to publish a range of Latinx literary contributions, ranging from graphic novels and memoirs to non-fiction, comic books and political cartoons. Projects in the series will take up themes of all kinds, exploring topics from immigration to family, education to identity. The series will provide a place for exploration and boundary pushing, and will celebrate hybridity, experimentation, and creativity. Projects will be produced with quality and care, and will exemplify the full breadth of creative visual work being created by today’s Latinx artists. Thought to be the only illustrated series in the country devoted exclusively to showcasing the Latinx voice, OSU Press plans to release four titles a year. Aldama has already chosen the first seven titles but is actively looking for submissions — to get more Latinx writers/artists’ voices seen, as well as, heard.